Just as we were leaving the main area at Whisky Live Singapore, we stopped by the Ardgowan stand. The team was passionate about their project and the story of polar explorer Robert Swan and his son Barney’s trip to the South Pole using only renewable energy. Our Ardgowan man shared that before getting into whisky, he was an engineer – involved in renewable energy. So when asked to develop a zero-carbon snow melter that would be lightweight, robust and inexpensive, they came up with creating the Ardgowan “snow melter.” The simple kit worked and Robert and team used them in their expedition. 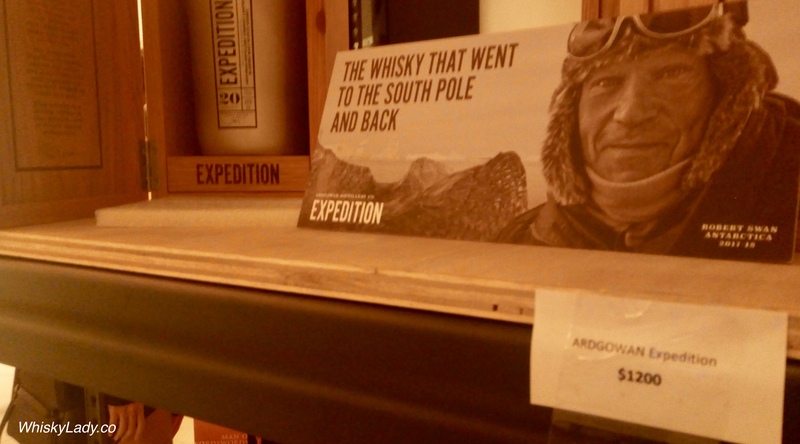 In return, the Ardgowan team asked Robert to take a bottle of an aged single malt to the South Pole – which now forms part of the Ardgowan Expedition commemorative blend of malts. Plus, naturally, a small sample to toast their trip! 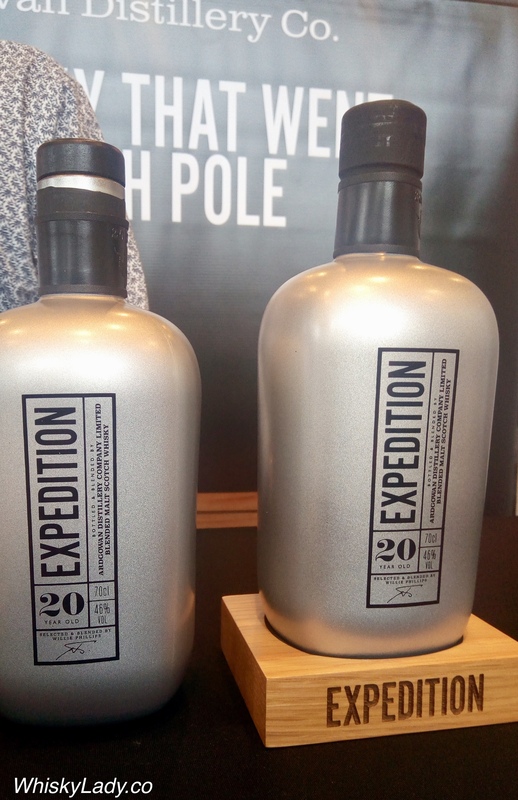 From this single bottle, the team blended it further to package 600 hundred bottles for the 600 miles the original bottle traversed. And as he regaled us with the tale, we had a wee nip. My impression was of something initially quite grassy on the nose, fresh and happy, then honeyed citrus and stewed fruits on the palate. It was friendly and approachable… really quite nice. And what do they have to say about their whisky? combined with hints of saw dust and tree bark. Then dried pink grapefruit peels and zesty blood oranges. Crème brûlée and freshly ground coffee beans appear later. Palate – A pop of citrus, peppery spice and honeyed sweetness comes first. Followed by a hint of beeswax on old furniture. Then more citrus fruits with honeysuckle and freshly cut flowers. Very well balanced with a luxuriously unctuous and coating mouthfeel. Overall – A delicious and very well balanced whisky with wonderful layers of citrus, spice and sweetness. A fantastic mouthfeel that will have you chewing and savouring each drop. An incredibly long and nuanced finish will have you coming back for more. Did you spot that price tag? SGD 1,200! However, much like Raasay While We Wait, there are plans for more affordable whiskies to be sold as Ardgowan in the “style” of what they anticipate making… many years from now when the idea of a distillery becomes a reality. This entry was posted in Scotland and tagged Ardgowan, Expedition by Carissa Hickling. Bookmark the permalink.